At the World Cup, there is a case for Shami and Bumrah to be India's frontline pacers. HAMILTON: On the road to the 2019 ICC Cricket World Cup, India haven’t looked beyond Bhuvneshwar Kumar and Jasprit Bumrah too often. Part of the reason was they weren’t really looking. 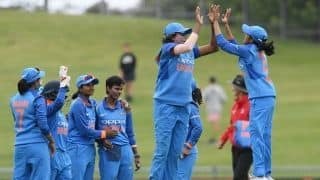 Ever since preparations began in earnest on the 2017 tour of Sri Lanka, the duo have played more than 60 per cent of India’s ODIs in the last 20 months. There was a steep difference in game time afforded to these names though. Ahmed, with seven consecutive ODIs since his debut in the Asia Cup, has the longest run of matches. Shami playing six successive matches in January, as India sealed a 3-0 series win at the Bay Oval on Monday, is still second on the list. This victorious run has come on the back of some great batting, but also because India have hit the right bowling formula as seen in this series against New Zealand. Two pacers, two spinners, an allrounder and a part-timer, it works even when first-choice options aren’t available (read Hardik Pandya and Bumrah). If the World Cup were to be held tomorrow, India could shut their eyes and pick a starting eleven. In fact they would be spoilt for choice. Fit, quick, and raring to go, always in search of wickets, Shami is back to his best in the two longer formats. His transition from red to white ball cricket has been easy, and spurred on as much by the absence of Bumrah as by Indian victories. After all, game time and confidence hold certain intrinsic value for any player. With 12 wickets in six ODIs so far, Shami has dispelled any doubts over his ODI credentials. 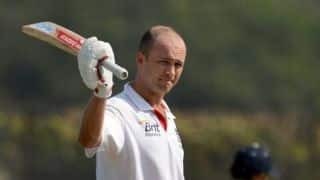 But it is not just about figures – it is in the manner he has been used and indeed how he has bowled, performing those different jobs. While India were searching for balance in the absence of Pandya, he did the third pacer role. Part of it is about bowling after the 10th over, and then bowling controlling spells in overs 11-40. This allows skipper Kohli to use his frontline pacers in the death overs. Inconsistency from Khaleel and Siraj made things tougher, in that Shami had to bowl in the middle and during the death overs in Australia. It helped Kohli further, when he reverted to formula and used Shami as part of the two frontline pacers with Kumar, and played Vijay Shankar as the allrounder. When playing with Kumar-Bumrah, Kohli depends a lot on control from his allrounder, and if things proceed well, he uses Bumrah in shorter spells during the later half of the innings. In his absence, the skipper has done the same job with Shami, and the pacer has come up with the goods in this New Zealand series in particular. 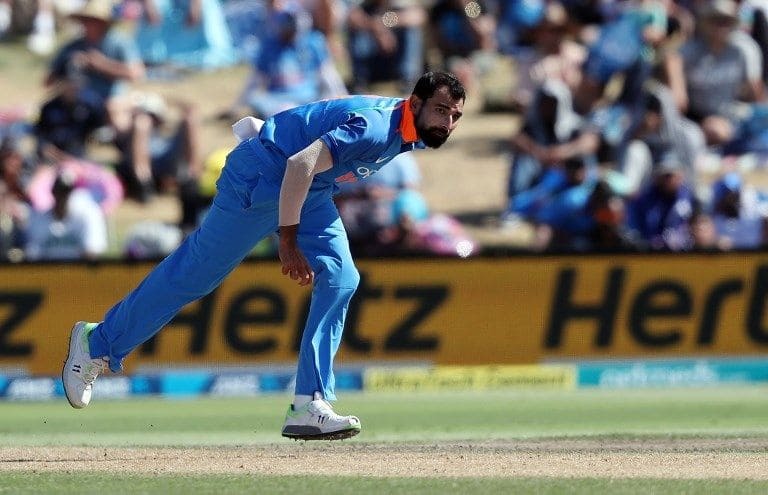 In the first ODI at Napier, Shami bowled only two spells because of a shortened Black Caps innings. Even so, his second spell started in the 28th over there. In the second ODI at Bay Oval, it was almost a repeat of the formula – second spell in 26th over again. 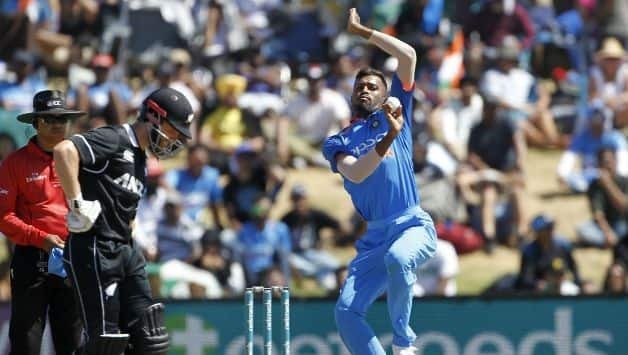 In the third ODI, as New Zealand batted first, Kohli used Shami in three spells – the first four-over spell, then the second beginning 23rd over and lasting two overs, before a third spell in the death overs. The underlying point herein is simple. 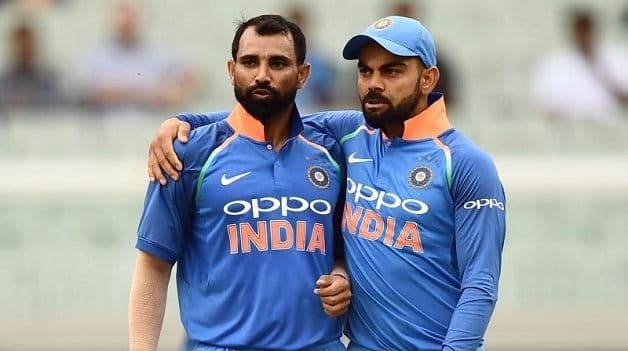 Shami has more or less confirmed his World Cup spot, and with Bumrah coming back, Kohli will be spoiled for choice when picking the two frontline pacers. Even as Bhuvneshwar slowly regains his bowling rhythm, he hasn’t looked the complete part just yet. Perhaps he is not bowling at full tilt, slowly building up his fitness and form. The question is – how will the rigorous IPL schedule impact him? In that light, come the World Cup, there is a case for Shami to pair up with Bumrah and become the frontline pace attack in England.